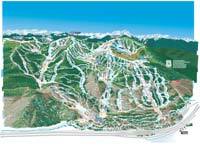 Vail Resort is consistently rated one of the top ski and snowboard resorts in the world. Register now to receive deal alerts as new discounts are available. Accommodations Vail Beaver Creek - Book Direct and save up to 25% for winter 2018.19. On the heels of countless investments, Vail Mountain, one of the largest ski resorts on the planet, is counting down the days until it welcomes the world once again during the 2015 FIS Alpine World Ski Championships along with sister resort Beaver Creek. While new features abound, both large and small, Vail continues to excel with what it has inherently been known for since 1962: more than 5,000 acres of unparalleled terrain, including the legendary Back Bowls and Blue Sky Basin, the vision inherent in the spirit of Vail’s founders, and a modern day commitment to excellence in all aspects of guest service and operations.